Greg Costikyan is one of the most famous American game designers of role-playing games. He is regarded as the main designer for Paranoia and Star Wars: Roleplaying Game in 80’s for West End Games. He worked in Simulations Publications (SPI) where he designed famous board and strategic games like Web & Starship, Barbarian Kings, DeathMaze, Vector 3, Swords & Sorcery or Supercharge and roleplaying games like Commando. He designed and wrote Toon, The Cartoon Roleplaying Game, for Steve Jackson. When he worked in West End Games he designed famous roleplaying and strategic games like Star Wars, Paranoia, The price of Freedom, Your Own Private Idaho or Star Trek: The Adventure Game. On the other hand he published wargames like Dark Emperor with Avalon Hill or Pax Britannica with Victory Games. He wrote Violence rpg, now free under a Creative Commons License, for Hogshead Publishing. He also wrote different famous novels, the first two, “One Quest, Hold the Dragons” and “Another day, Another Dungeon”, were parodies of genre fantasy, and “By the Sword” and “The First Contract”. He won different awards like the Origins Award Winner for Best Role-playing Rules of 1987 with Star Wars: The Roleplaying Game, the Charles S. Roberts Awards Winner for Best Pre-20th Century Game of 1985 with Pax Britannica, the Origins Award Winner for Best Roleplaying Rules of 1984 with Paranoia and Charles S. Roberts Award Winner for Best Fantasy or Science Fiction Game of 1979 with The Creature That Ate Sheboygan. He won recently the Game Developers Choice Awards Maverick Award of 2007 for creating a channel for indie games. Furthermore, he was co-founder of the short-lived Goldberg Associates and he found Manifesto Games, a company of indie computer games. Nowadays he is working in Boss Fight Entertainment as senior games designer later of working in different companies of computer games. 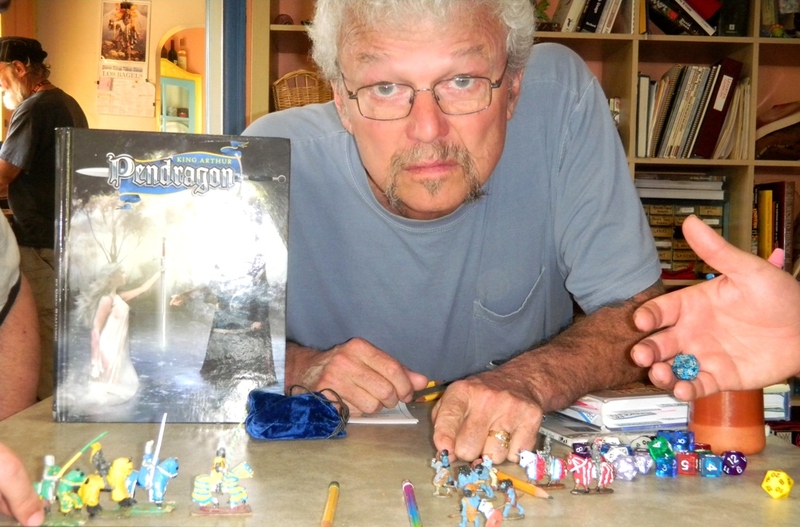 Greg is one of the biggest authors in roleplaying games. Take risks. Don’t view roleplaying as an interaction with a rules set. Imagine yourself as your character. Improvise. Greg Stafford is one of the most famous American game designers of role-playing games. He is well known as the designer for his masterpiece, the Arthurian chivalric role-playing game Pendragon, as the creator of the fantasy world of Glorantha and co-designer of the RuneQuest. He established The Stafford Chaosium in 1975. That same year he published his first fantasy board game with White Bear & Red Moon set in the world of Glorantha. However, in a few years those had grown to be a series of board games and a company called The Chaosium. The Chaosium’s first roleplaying game, RuneQuest, was published in 1978. Runequest was based on the world of Glorantha, Greg’s fantasy world that he first discovered in 1966. A complete list of roleplaying games which he wrote or contributed to includes: RuneQuest, Thieves World, King Arthur Pendragon, Prince Valiant, GhostBusters, HeroQuest, and the computer game King of Dragon Pass. Furthermore, he contributed to around 100 supplements and articles in the game industry. In 1998 he left Chaosium with the rights to Glorantha intact, and started a short-lived company called Issaries, Inc. which published Glorantha games. He sold the Glorantha game rights to Moon Design Games, which has continued the tradition of the fantasy world games. He continued and continues to work on King Arthur Pendragon up to this time. 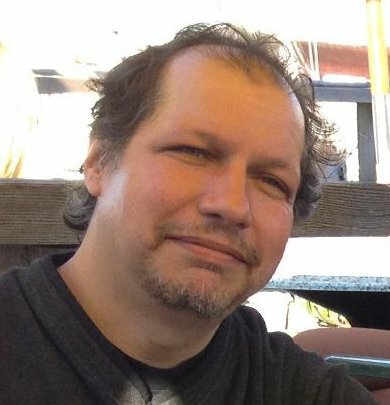 Supported by Sandy Petersen, he returned to Chaosium in May 2015.